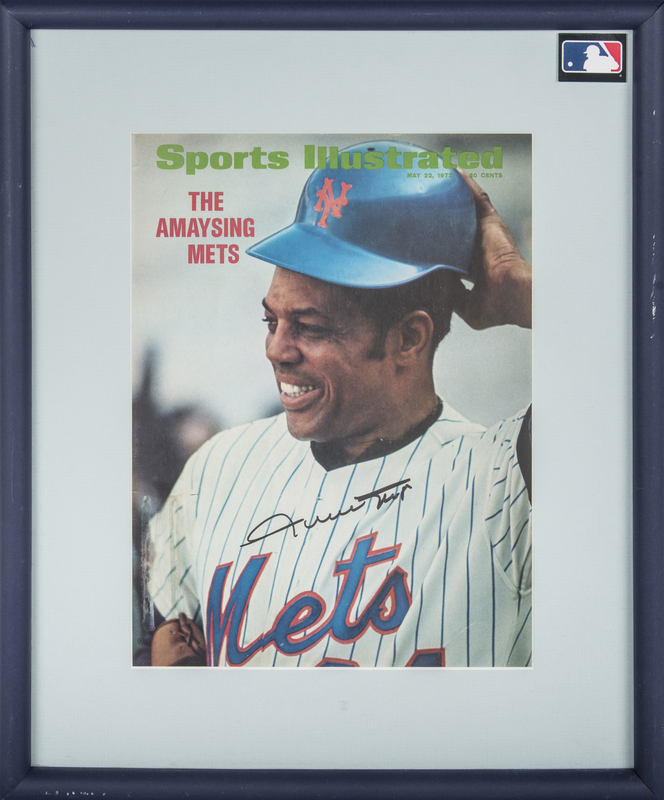 Hall of Fame centerfielder Willie Mays has signed the cover of this framed Sports Illustrated magazine. Mays is shown in his Mets home whites on this magazine published on May 22nd, 1972. Mays is one of the best all-around players in the history of the game, finishing his career with 660 homers, over 3,000 hits, a .302 batting average, and two National League MVP trophies. Mays has signed this Sports Illustrated in black marker. This item is displayed in a 14 x 16-inch frame. It comes with a COA from JSA (AA82286).